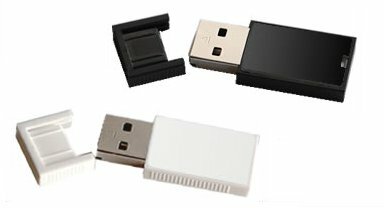 - USB 1.0 and 2.0 compatible. – LED light signaling power or busy. - Easy plug & play. – Keychain hole or ring. - More than 10 years data retention. As for the individual S flash drives and their traits, here they are. - Capacities: 128MB – 8GB. - Printable area for logo customization: 13mm x 27mm. - Thin body with sleek plastic cap. – Colors available: black & white. - Size: 41.6mm x 17.3mm x 4.8mm. - Thin, sturdy plastic body with secure gripping. - Capacities: 8 – 32GB. - White body with plastic frame and aluminum skin. - Retractable USB connector via side lock. - Colors available: black, red and blue. - Size: 66.2mm x 21.8mm x 8.5mm. - White, printable area for logo customization: 14mm x 59mm. - Retractable USB connector via slyder style and locking button. - Colors available: black, white and silver. - Printable area for name customization: 45mm x 15mm. - Plastic body with steel swivel. - Colors available (case): black, red, blue, silver, purple, yellow and white. 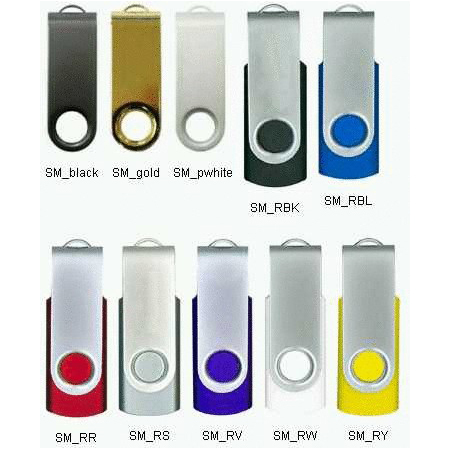 - Colors available (swivel): black, silver and gold. - Size: 57.0mm x 19.0mm x 11.0mm. - Colors available (swivel): black, gray, gold and white. - Size: 32.1mm x 15.0mm x 6.4mm. - Plastic body with contoured silver swivel. - Colors available: black, red, and silver. - Size: 64.5mm x 12.4mm x 18.0mm. - Transparent plastic case with swivel lid. - Size: 45mm x 12mm x 8mm. - Printable area for name: 6mm x 23mm. So that’s it for the S series. 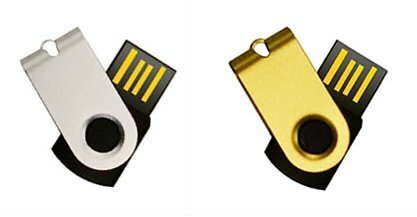 I guess what stands out most is the fact that almost all S flash drives don’t have a regular cap or lid thats easily losable. Definitely a plus! If you want to know about the company itself, I can tell you that Super Talent is a child of Silicon Valley and has been in business for 20 years now. Its headquarters are in San Jose and aside from USB disks they also produce mp3 players, RAM sticks and SSD drives. Now in case you have any experience with the S series you’re welcome to leave a comment. And maybe you have better ideas for what the different letters could stand for? Perhaps you even know?